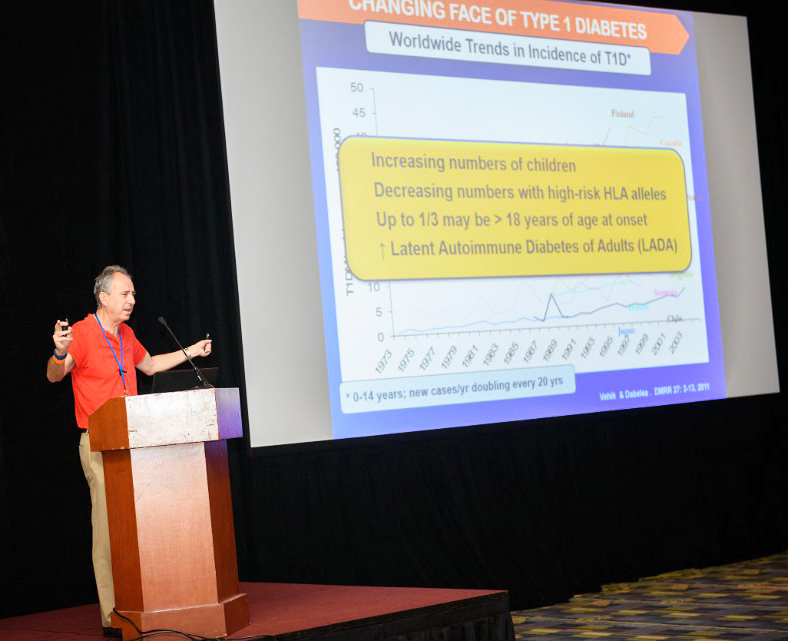 Latent Autoimmune Diabetes in Adults (LADA) is a form of autoimmune diabetes (type 1A diabetes) which is diagnosed in individuals who are older than the usual age of onset of type 1 diabetes (that is, over 30 years of age at diagnosis). Alternate terms that have been used for "LADA" include Late-onset Autoimmune Diabetes of Adulthood, "Slow Onset Type 1" diabetes, and sometimes also "type 1.5" diabetes. Often, patients with LADA are mistakenly thought to have type 2 diabetes, based on their age at the time of diagnosis. Such misdiagnosis is easy to make when the person is older, and initially responds to treatment with diabetes pills. It is now thought that perhaps twenty percent of patients with apparent type 2 diabetes really have LADA. Patients with LADA do not have insulin resistance, as do people with type 2 diabetes. Also, positive antibody tests would help make the diagnosis of LADA in a person who might be suspected of having either LADA or type 2 diabetes. Some diabetes specialists feel that once LADA is diagnosed, it is important to promptly start the patient on insulin therapy (rather than using sulfonylureas or other diabetes pills), but it is unclear whether early treatment with insulin is beneficial for the remaining beta cells. Drug therapy to preserve insulin function in patients with LADA is being investigated. Review the latest LADA Q&A from our DTeam of experts. Type 1 diabetes and latent autoimmune diabetes in adults (LADA): one end of the rainbow. Free full text available in PDF format.